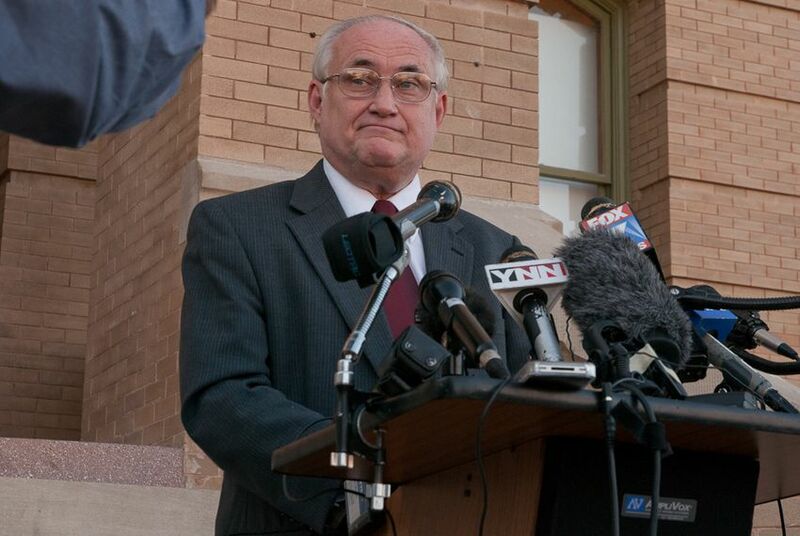 A coalition of lawyers today filed grievances with the State Bar of Texas against former Williamson County District Attorney Ken Anderson, his former assistant Mike Davis and current District Attorney John Bradley. The Texas Coalition on Lawyer Accountability filed grievances with the State Bar of Texas on Monday against former Williamson County District Attorney Ken Anderson, his former assistant Mike Davis and current District Attorney John Bradley, alleging that the prosecutors violated state laws and professional ethics in the case against Michael Morton. Morton was released last month after spending nearly 25 years in prison, wrongfully convicted of murdering his wife in 1986. Morton's lawyers have discovered that prosecutors did not turn over to defense attorneys or the trial judge evidence that pointed to another man as the murderer and could have prevented the wrongful conviction. The State Bar would not confirm receipt of the grievances, but the agency said last month that it had launched its own investigation of prosecutorial misconduct in the case. Morton's lawyers are also pursuing their own investigation of alleged wrongdoing. Julie Oliver, executive director of the lawyer's coalition, said the group's grievances today were meant to reiterate the public's interest in seeing that those who were responsible for Morton's wrongful imprisonment are held accountable. "We feel it's important that a lot of pressure be put on them from different parts of the public to ensure they understand the importance of the investigation," Oliver said. Phone calls to lawyers for Anderson and Davis were not immediately returned, but both have denied wrongdoing in court documents and public statements. Bradley, who for six years resisted the DNA testing that eventually proved Morton's innocence, said he was not the prosecutor at the time of Morton's conviction and that he has cooperated with defense lawyers in releasing him from prison since DNA tests revealed he was not the killer. "I am not and never have been the target of any allegations," Bradley said in an email. "I just happen to be the DA responsible for cooperating in the release of Morton. I am confident the public will see I behaved ethically and professionally under difficult circumstances." The Texas Court of Criminal Appeals officially exonerated Morton in October after DNA evidence showed that another man was likely responsible for the 1986 killing of his wife, Christine Morton. Morton's attorneys — John Raley of the Houston law firm Raley & Bowick and lawyers at the New York-based Innocence Project — allege that the Williamson County district attorney's office intentionally withheld a transcript in which Christine Morton’s mother told Wood that the couple’s 3-year-old son, Eric, saw a "monster" who was not his father brutally attack his mother. The defense attorneys also accuse prosecutors of withholding information about Christine Morton's credit card being used and a check being cashed with her forged signature days after her death as well as evidence that a man in a green van had been casing the neighborhood before the murder. This month, police in Williamson County arrested Mark Norwood and charged him with Christine Morton's murder. He is also considered a suspect in the January 1988 murder of Debra Masters Baker, who, like Morton, was beaten to death in her bed in the early morning hours. Norwood lived only blocks away from Baker and about 12 miles from Morton. Oliver said the coalition wants the public's faith in the justice system restored so that they understand that prosecutors will face consequences if they wrongfully convict an innocent person while allowing a criminal to roam the streets. "The confidence of the public in our justice system is just quickly going downhill," she said.